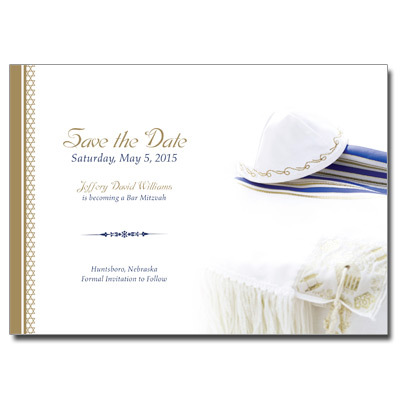 Combining elegant elements with a traditional feel, this save the date card is sure to impress the recipients of your Bar Mitzvah announcements. Card measures 5x7. Comes with round stick-on magnets.